« Update – sgValueInvestments is now Singapore Investing! There’s an active discussion regarding VICOM at one of the local investing forums – Value Buddies. Let’s go through the qualitative aspects of the company first. I think VICOM has a narrow economic moat at the very least for its vehicle testing services. The good thing about their business is that their profits are recurring. You have to get your car certified with them at some point in your lives. Lets look at the fundamentals of the company. 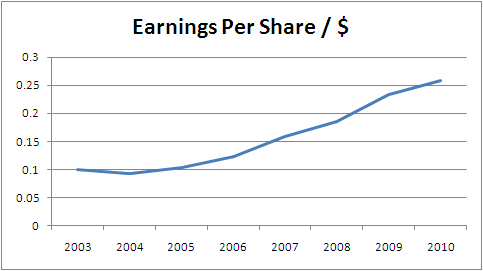 VICOM has been growing its bottom line really well over the past few years. Its average annual growth rate is an astonishing 18.2%. The great thing about VICOM is that its a very cash rich company. It has no debt on its balance sheets – a very big plus for me. 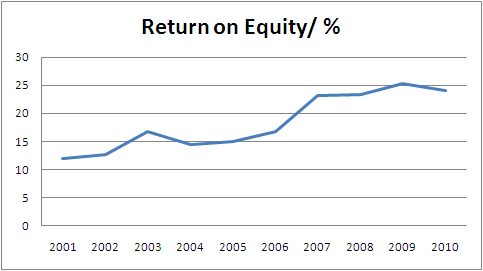 Returns on Capital are nearly identical to Returns on Equity as there are no borrowings. Average ROE is 18.3% which is great. 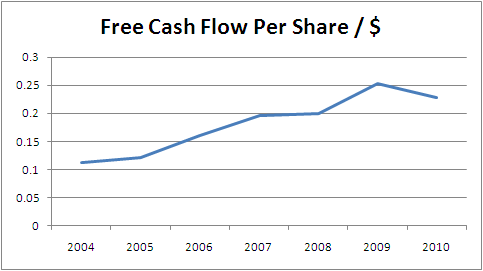 Free cash flow has also been growing at a reasonable rate – about 10% per annum since 2004. It’s important to note that Free Cash Flow growth is sometimes slower – especially when a company is expanding it’s operations. VICOM was a real surprise find for me. High returns on capital, good growth rate, and a reasonable price all add up well. 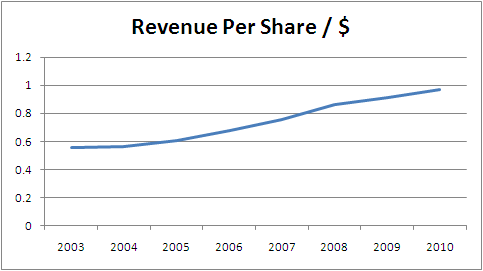 VICOM in my opinion, wont be surprising anyone with high growth rates or sudden surges in profits anytime soon. However, if your a long term investor, VICOM will probably do quite well for you over time. Disclaimer – The author has no position in VICOM at the time of writing. Nice content, I really enjoy fresh news from you.